American WeatherTECHS is the premier windows installer serving homeowners from Cincinnati to Columbus, OH. Founded in 1995, we have a team that has an incredible 85 years of combined experience in the home improvement industry, and we put this expertise to work for our customers. By combining superior products with the best service available, we are proud to provide our clients with an exceptional value for their investments in new windows. 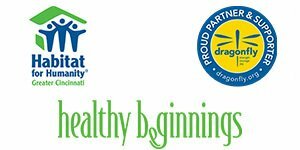 Only have certified installers complete our window projects, ensuring they adhere to our strict quality standards. Have earned numerous accolades in recognition of our excellence, including a designation as a Top 500 Remodeler by Qualified Remodeler. Maintain an A+ rating with the Better Business Bureau, proving our commitment to customer satisfaction. Additionally, American WeatherTECHS offers windows that match the quality of our installations. Our products are from the Preservation series from the trusted name Associated Materials. 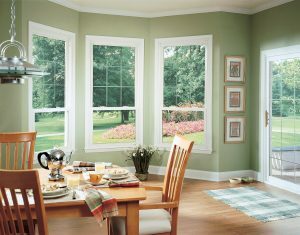 With advanced features such as premium vinyl frames and a fusion-welded design, these windows are incredibly durable. Plus, they are available with several energy-efficient packages, including double- and triple-pane windows with optional gas fills. And, perhaps best of all, we offer a double lifetime transferable warranty – something you’ll be hard-pressed to find with any other windows installer. Contact American WeatherTECHS today to learn more about what makes us the windows installer homeowners from Cincinnati to Columbus, OH, trust with their projects.